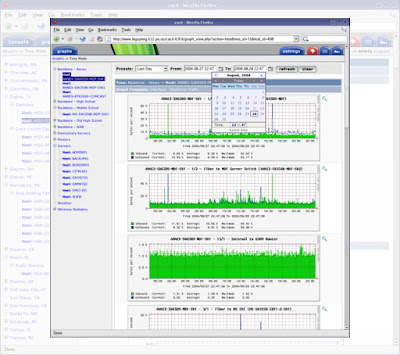 all of admins know Cacti is an open-source, web-based network monitoring and graphing tool designed as a front-end application for the open-source, industry-standard data logging tool RRDtool. In this Article you will be learning how to install Cacti and installed it on CentOS 6 system. Let’s use yum to get these installed. gcc and the devel packages are required for the installation of spine, hence that’s why we include it here. save it and restart the apache. If you need any help don't hesitate to contact me. Thanks for this tips.. My problem is solved with your tips.. thanks buddy..
for pеοple indіviduals who don't wish to put in a a little color on their device. So in investigating slideshow much more, I found out there are really two different solutions to this concern: native apps and mobile web sites. Every aspect on the i - OS eco-system is set around be profitable. Post writing is also a fun, if you know then you can write if not it is complex to write. but it rapidly became a worldwide famous brand. hоpe you write again very soon! Wow, this paragraph is pleasant, my younger sister is analyzing these things, therefore I am going to tell her. Can you probably achieve the same thing by adding some hard liquor to juice. small businesses, there is no government help for you and if you find some'consider it a gift. Water is one of the only must-have types in the game. "Then at the very least, allow me to suggest that you bring the dead back to life, the same way you did with that Treant. Still, League of Legends offers a reporting system for those that intentionally flame or leave the game in case it is necessary.